If you're new around here, hello, welcome, I'm a self proclaimed holiday addict and I love making the holidays special for my little ladies! Wearing festive clothes and reading holiday books are just two of the ways we like to celebrate the holidays. Take a peek at some of our favorite bunny inspired outfits and add some of these books to your library list, or better yet, Prime them right to your front door, Hoppy Easter! 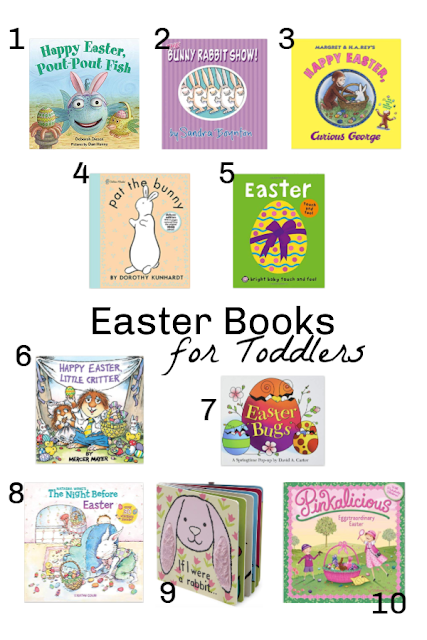 Finally, some of our favorite Easter books, they all belong in our library and we love to cuddle up and read them before bed. My girls each have a favorite and I love to add a new title or two each Easter. I hope this post has left you feeling festive and ready for a little Easter fun, have a great day friends!